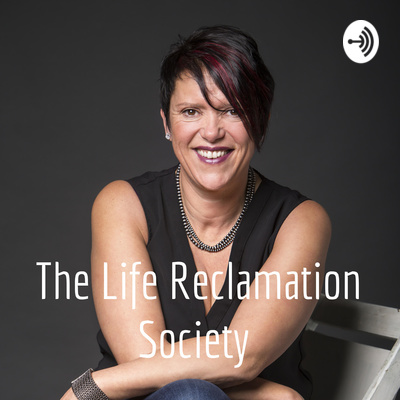 A Life Reclamation Project is about untangling those relationships with someone or to something in order to create space. Letting go of thoughts, beliefs & things that you are holding onto which may be holding you back. Based on the contents of the emotional backpack that you are carrying...who's names are on those rocks or what would you call them? Are you naming them for an experience, for a person, for an overall theme or feeling? When you think of the contents, if you were to categorize them or put them into different piles as to what the source is, what would that look like for you? One of my big life influences has been Louise L. Hay, and her little blue book, Heal Your Body, has been a resource that I have used perpetually and have given multiple copies away to others. When I read her first book "You can Heal Your Life", I fell deeply in love with the concept that I could be my own healer. Through changing my language, both in my inner and outer dialogue I could change my life and be free of all that hindered me. What I have learned is that sometimes the very tool that we use for the greater good can also put us in a place of blame. Blaming someone or something for our dis-ease or discord in our life may initially feel empowering but blame's superpower is to dis-empower us and can put us in an If-Then mindset that decreases our efficacy of feeling, being or doing better. Here are some examples: IF he/she/they had or hadn't done x/y/z THEN I would feel ... IF he/she/they had or hadn't said x/y/z THEN I would feel ... There used to be a saying that when we point our finger at someone else we have three pointing back at ourselves, and when I recognized that I was looking outside of myself that where I needed to look was in the mirror. Therein lies the contrast, when we take the tools we are using for our greater good and use them as a means to take us out of owing our feelings and potentially adding more weight to our load. The evolution of the Self-Help Genre has continued to be a game changer. My first trip to the bookstore to load up on all the books that would "fix" my life and problems was over 30 years ago. In the last three decades I have consumed a lot of self help and self development information in that time. The idea that I could go to a bookstore buy a book and read it or skim it, or hope for osmosis, then apply or not apply the information all with the intention that 'I could fix myself' can have the opposite affect in my experience. I recently came across a list I had created of the books I've read, and in reflection can see that I bought multiple books from multiple authors in search of the tip, technique or wisdom, to fix the same issue. Asking for help has never been my super power and I know that, however when I embarked on my Life Reclamation Project: Me last year I did just that. It wasn't just one person but seven. Just like I bought multiple books I needed different perspectives and expertise. 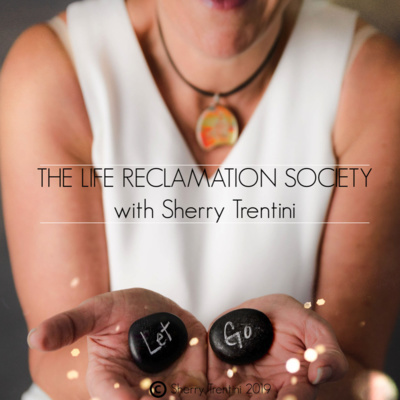 In this episode, I share what I have come to learn as two of my biggest blocks to doing the work I needed to do in order to create space and feel lighter. Happy New Year! You know what you want to be, do & have for yourself in the new year and have chosen your goals, set either resolutions or intentions. Did you also review your personal values? In this episode I share a quick and easy way to identify your values and how when you know what they are that they can be the tool to help you achieve your personal goals. Suicide Prevention is everyday. I share my story and what I have learned. Defining the Life Reclamation Projects as in relationships to someone or with something that you may be holding onto that feel heavy. This is the work I do to help you feel lighter. This is a repost due to my learning curve! All audio should be included this time! How I've been using my shoulda to take action. How many times do you "should" on yourself? Using the word should can be an energy zapper, and sometimes it can uplift our vibe if we see it as an opportunity to choose yes or no.